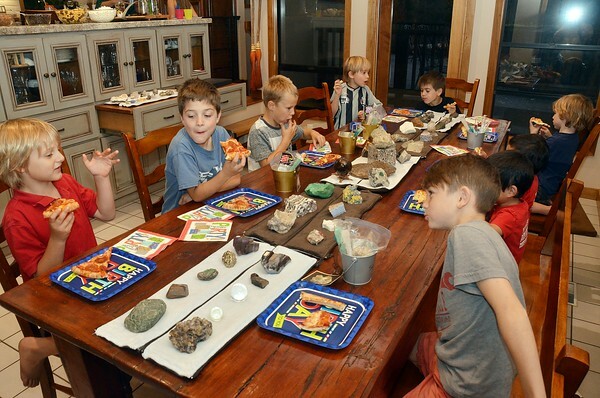 It was a "Rocks and Minerals" kinda party. We hunted geodes in the yard and cracked them open (as best we could). Then a bingo-like game called Rock On. Some hardness testing. Of course, there was rock candy in each person's mine bucket to which they added specimens as we went. Lava Keep Away was a balloon game. The soil stratification snack was well received! We had lots of rock and mineral specimens out and about for decoration.